You are currently browsing the category archive for the ‘Freebie Friday’ category. Main entry: Answer the question on this blog post: What have you enjoyed about this winter? 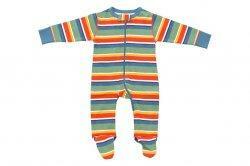 My Baby Pajamas January 2014 Freebie Friday giveaway starts today, Friday January 3, 2014. This month My Baby Pajamas is giving away one pair (1) of size 10 Boys Skivvydoodles Sea Life pajamas. These pajamas are a two piece set with long sleeves and long pants. Perfect for the winter months. What better way to start off the new year! Main entry: Answer the question on this blog post: Do you make New Year’s Resolutions? If so, what is yours? Congratulations to Anne Dall! She is the winner of the My Baby Pajamas January 2014 giveaway. This month My Baby Pajamas is giving away one (1) Sara’s Prints Zebra Ruffle Nightgown. Summer will be here before we know it and these pajamas will be perfect for spring and summer. The nightgown is flame resistant and loose fitting. What to know how to win these pajamas? Main entry: Answer the question on this blog post: Did you sleep train your children? And Why? This giveaway will end on Friday, March 29, 2013. We will announce the winner a couple days later. The winner is selected by Random.org. This month My Baby Pajamas is giving away one (1) pair of Hatley Wild Pirates Waffle PJ Pant and Tank top in a size 14. This is a great gift for your tween girl! Summer will be here before we know it and these pajamas will be perfect for spring and summer. These pajamas are meant to fit snug. What to know how to win these pajamas? P.S. We have continued our 50% off the entire website SALE. We don’t know how much longer this is going to last so you better shop now. Kicky Pants Bamboo footie pajamas are all 50% off! Everything on the website. This includes all SALE pajamas too. Congratulations to Samantha Hill ! She is the winner of our February Freebie Friday Giveaway. This giveaway will end on Friday, January 25, 2013. The winner will be announced a few days after. Winner is selected by Random.org. Don’t forget My Baby Pajamas is having our winter sale. SAVE 25% off footie pajamas, toddler pajamas and more! CONGRATULATIONS TO SANDY VAN HOEY! SHE IS THE WINNER OF JANUARY’S FREEBIE FRIDAY. CONGRATULATIONS TO SANDY VAN HOEY! SHE IS THE WINNER OF JANUARY’S FREEBIE FRIDAY! My Baby Pajamas October giveaway is starting late this month and we apologize. We were busy putting pajamas on SALE. Be sure to check out our SALE. This month My Baby Pajamas is giving one to one lucky winner (1) one pair of our Lazy One Pink Pirates Pajamas for Women. These pajamas are perfect for the fall with long pants and short sleeves. The pajamas come in sizes XS to size XL for women. This giveaway will end on Friday, October, 26, 2012. The winner will be announced a few days after. Winner is selected by Random.org. My Baby Pajamas September Freebie Friday giveaway starts Friday, September 7, 2012. This month My Baby Pajamas is giving one to one lucky winner (1) one pair of our Fall 2012 Sweet Peanut Organic footie pajamas. What better way to kick off the fall season then with a nice pair of new footie pajamas. Main entry: Answer the question on this blog post: What is your favorite time of the year? This giveaway will end Friday, September 28, 2012. The winner will be announced on Saturday, September 29, 2012. Winner will be chosen by Random.org. My Baby Pajamas August Freebie Friday starts Friday, August 3, 2012. This month My Baby Pajamas is giving away one (1) pair of Lazy One Rock Me Juniors/Women Pajamas. Since August is the month for back to school and us moms are buying everything for the kids, My Baby Pajamas wanted to do something for the moms 🙂 And what better why then giving away women pajamas. Main entry: Answer the question on this blog post: What is your favorite thing to buy your kids for back to school? This giveaway will end Friday, August 31, 2012 at midnight PST. The winner will be announced on Saturday, September 1 , 2012. The winner will be picked by Random.org. This POST IS CLOSED!! Winner announced soon.